We can install docker on any operating system whether it is Mac, Windows, Linux or any cloud. 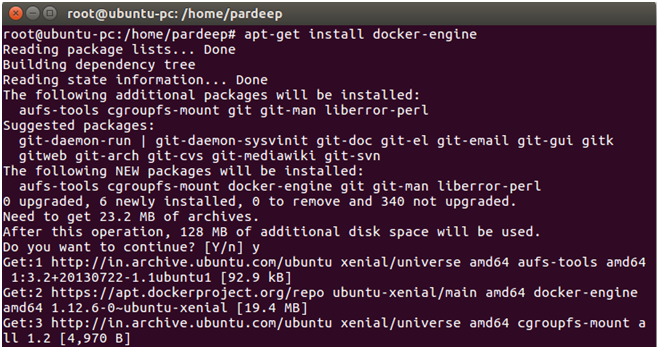 Docker Engine runs natively on Linux distributions. 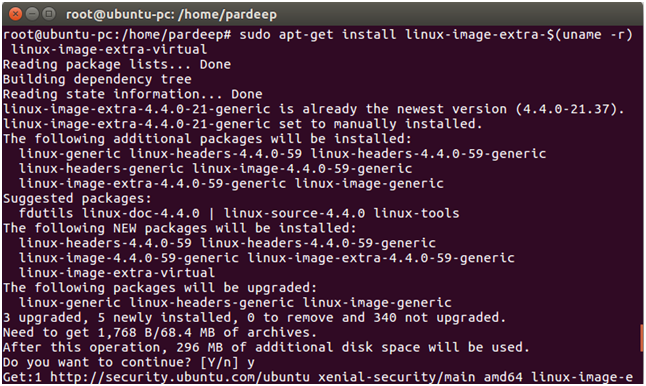 Here, we are providing step by step process to install docker engine for Linux Ubuntu Xenial-16.04 [LTS]. It only works on a 64-bit Linux installation. It requires Linux kernel version 3.10 or higher. Follow following instructions to update apt sources. Login as a root user by using sudo command. Update package information and install CA certificates. See, the attached screen shot below. Add the new GPG key. Following command downloads the key. Screen shot is given below. Run the following command, it will substitute the entry for your operating system for the file. Open the file /etc/apt/sources.list.d/docker.listand paste the following line into the file. Now again update your apt packages index. Verify that APT is pulling from the right repository. Install the latest Docker version. update your apt packages index. This above command downloads a test image and runs it in a container. When the container runs, it prints a message and exits.